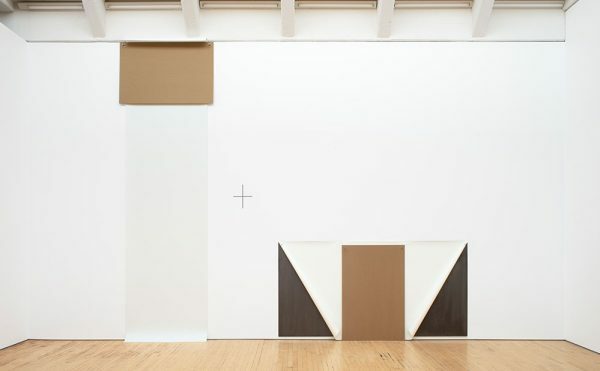 I should like the exhibition Measures of Inequity by the artists Richard Ibghy & Marilou Lemmens at the International Studio and Curatorial Program (ISCP). Really, I should love it. The show is conversant with my own politics of addressing the growing economic disparity and the wave of privations caused by the ideological hegemony of capitalism and its handmaiden, neoliberalism. I want to like this show, but the work, for the most part, doesn’t make sense to me. 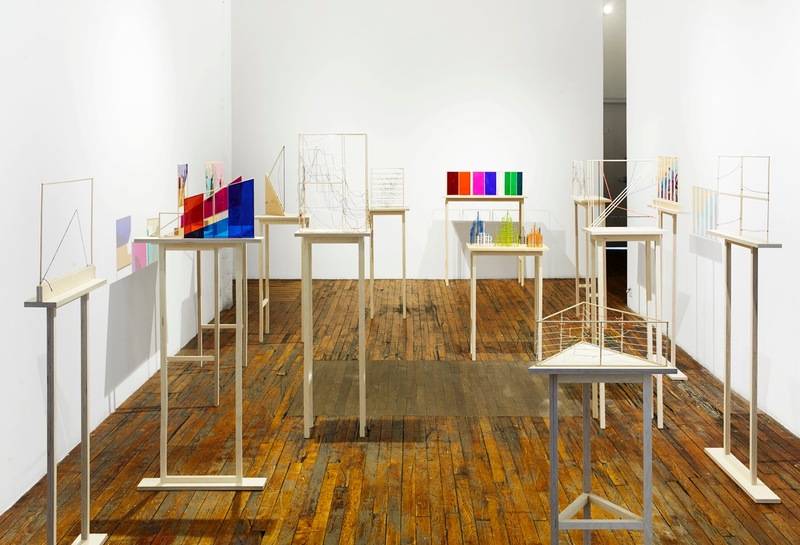 There are sculptures comprised of wood and string and panels of colored plastic. They purport to illustrate statistical data — in the case of a piece titled “Income Inequality in the United States (1910-2010)” (2016), the source is a chart in Thomas Piketty’s Capital in the Twenty-First Century (2014). The information conveyed is relatively easy to follow: after many rises and falls, I see the level of the sculpture’s string end at a significantly higher elevation than where it began — so I understand that income inequality has risen. However, the sloppiness in reference I can only take to be a joke or a provocation. Either way, the work becomes increasingly incoherent as you walk through the show. 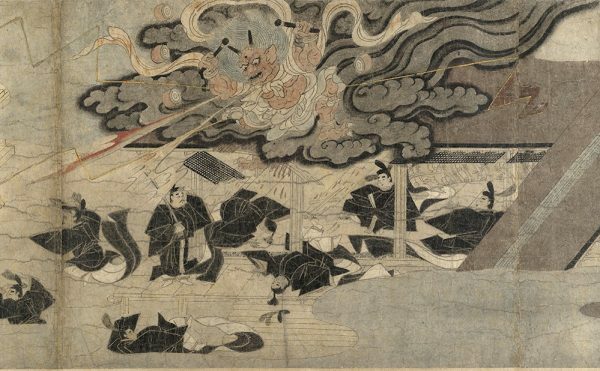 The press release claims that “the exhibition breaks down complex data into intuitively readable objects,” but it does not do that unless you play pretend. 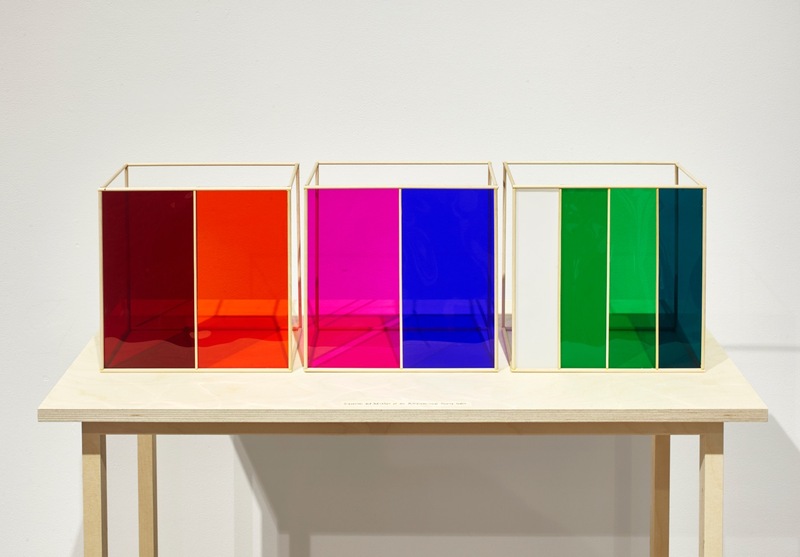 I have no idea how to read the piece “Dimensions and Indications of the Multidimensional Poverty Index” (2016), which consists of small, colored rectangles set in wooden frames, arranged side by side to create a kind of minimalist scheme of colors grouped in homologous families of hue. The multidimensional poverty index is a tool used by NGOs and policy makers to identify deprivations that constitute the typical experiences of low-income people, such as poor health, lack of education, inadequate living standards, and the threat of violence. There is no way I can intuit what these squares are supposed to convey in terms of that index. It’s the same story with other pieces. 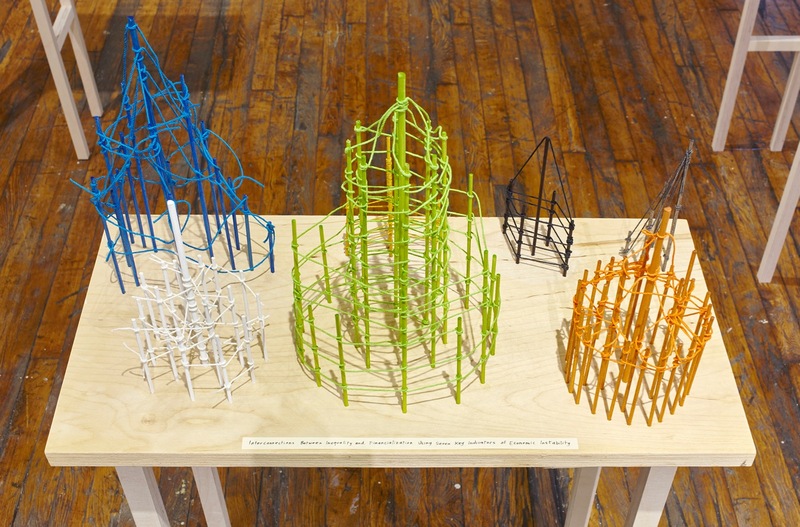 In “Interconnections Between Inequality and Financialization” (2016), which consists of threads looped around wooden structures, there’s no description of what the “X” or “Y” axes constitute, nor how the information supposedly embedded in the work might be excavated. 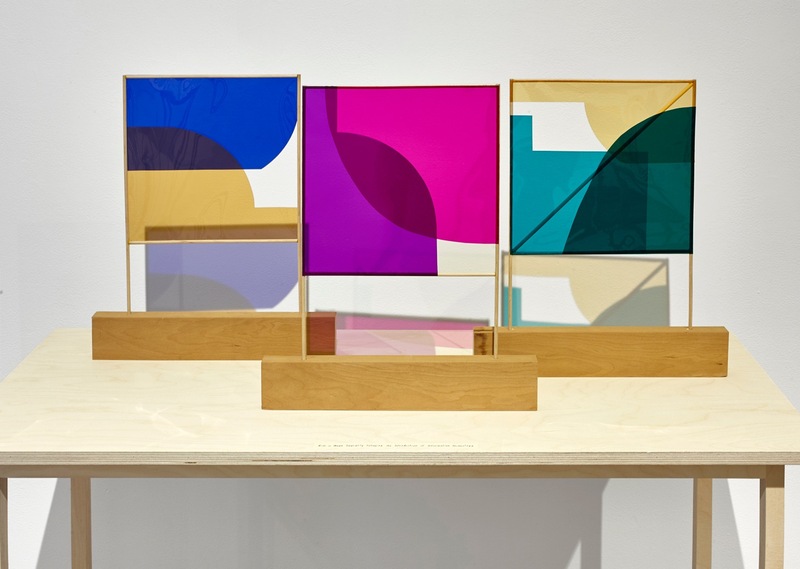 “Rise in Wage Inequality Following the Introduction of Information Technology” (2016) consists of cleanly modernist, translucent acetate prisms overlapping each other, like a piece by Ellsworth Kelly in plastic. It feels like a prank, as if the artists were daring us to pretend we understand how the works relate to their titles. Ibghy & Lemmens have created work based on the graph model that is clever and amusing, and their series Each Number Equals One Inhalation and One Exhalation (2016) is far more successful: in it, simple wood forms combined with string and acetate films stand as miniature architectural models for commonplace objects such as footballs goals and blackboards. Here, the combination of the two strategies could serve to destabilize one’s faith in statistical evidence, to show that it may be manipulated to silly ends. The art world is replete with this kind of smug, tiresome gesture. It feels complacent at a time when understanding the language of economic disparity is crucial to some people’s survival. 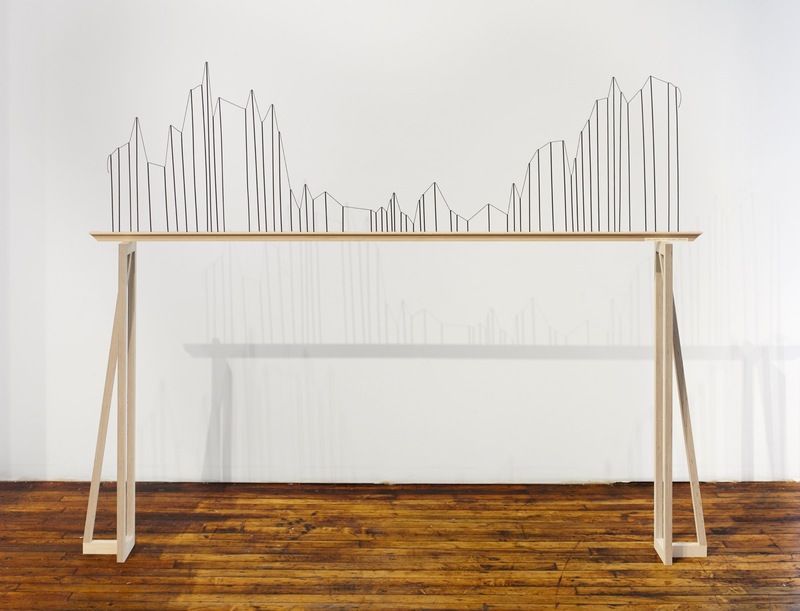 Richard Ibghy & Marilou Lemmens: Measures of Inequity continues at the International Studio and Curatorial Program (1040 Metropolitan Avenue, East Williamsburg, Brooklyn) through September 27.